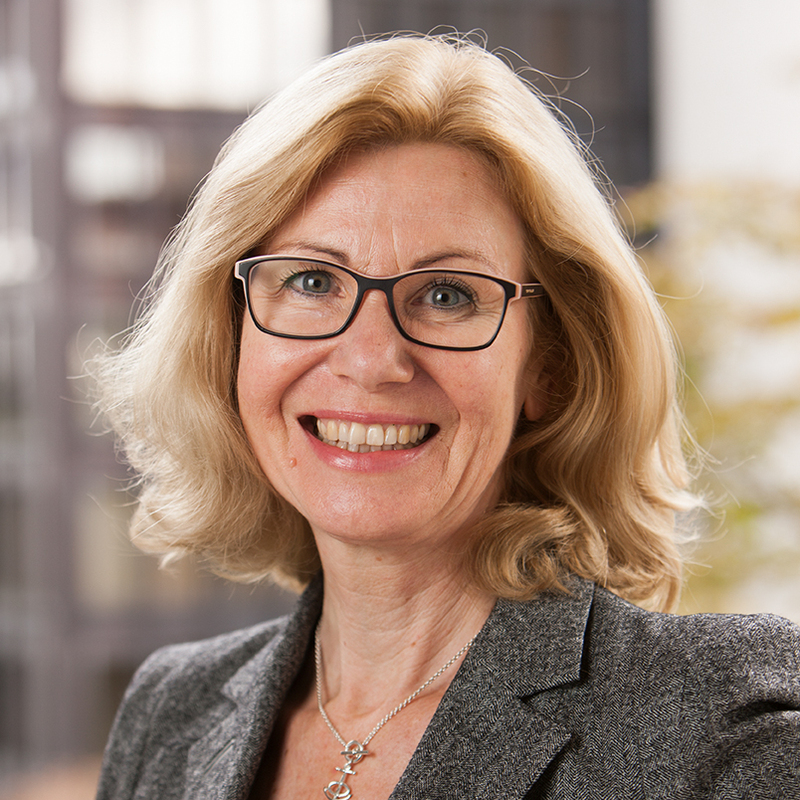 Sabine has over twenty years of professional experience in managerial positions, gained during her long and successful career with MSD Sharp & Dohme that she joined after 5 years as Scientific Assistant at the University of Frankfurt. Key Account Manager and then Marketing Manager in charge of planning, implementation and tracking of business activities, then promoted National Sales Manager, she managed an organization of 5 regional sales managers and 60 reps.
Business Unit Director Specialty Products: as Member of the German Leadership Team she had P&L-responsibility for all specialty products leading both the marketing teams and sales forces. Promoted Executive Director Business Operations (Marketing & Sales Services), she led the training & personnel development, market/business/sales research, sales information systems (CRM), central services, medical education & conferences and with a dotted line responsibility IT, procurement and logistics. Global Marketing & Franchise Business Support Team, focused on process optimization and efficiency improvements. EMEA & Canada Commercial Committee, responsible for sales force excellence and new commercial model structure. Europe & Canada Customer Relations Management customer centric solutions and new CRM systems. Since 2013 she acts as Management Consultant in Executive Search and Coaching, with certification in Conflicts’ Management and Reliance Coaching. She has a master of pharmaceutical biology from the University of Frankfurt, and resides in Munich area in Germany. She is fluent in German and English.